Ida Lewis, the first female lighthouse keeper, was "America's Heroine" in the latter part of the 19th century. She saved over 18 people from drowning in the waters off the coast of Newport Rhode Island. 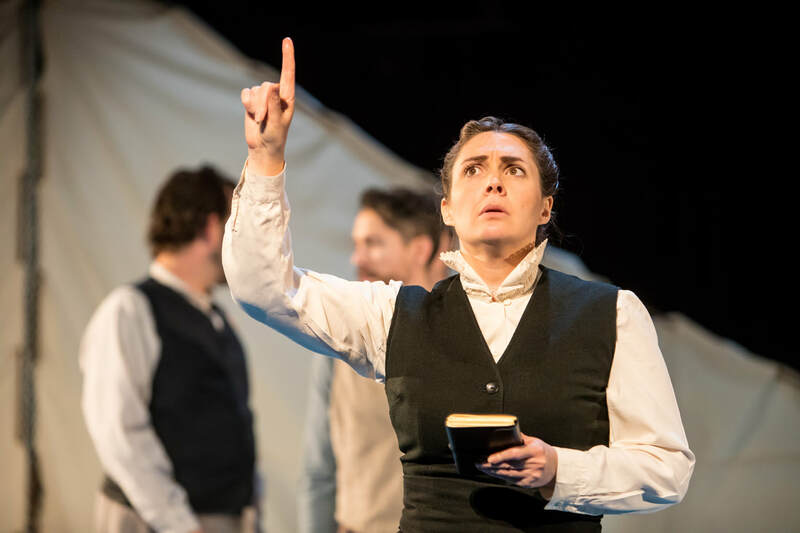 She fought for recognition as a woman doing a man's job and she worked tirelessly to tend her light. 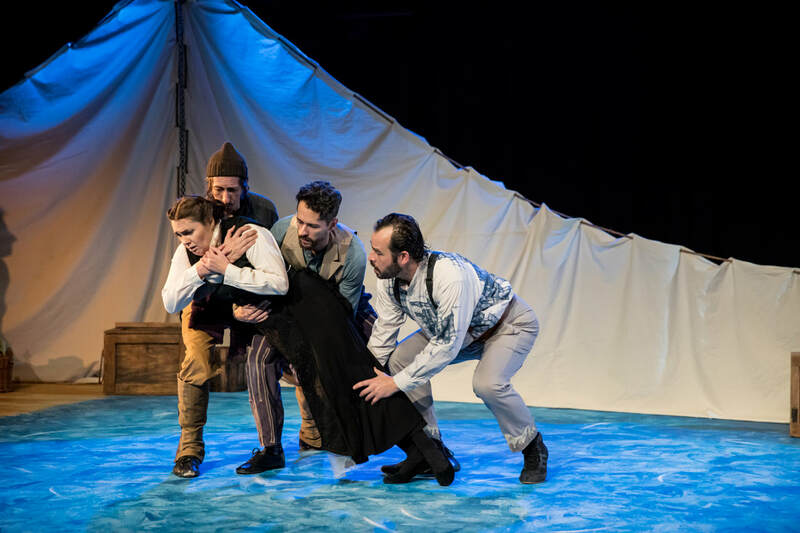 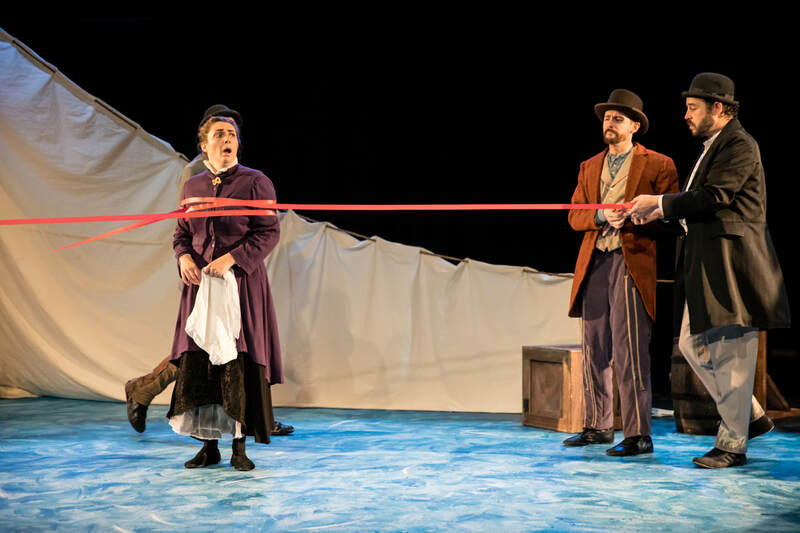 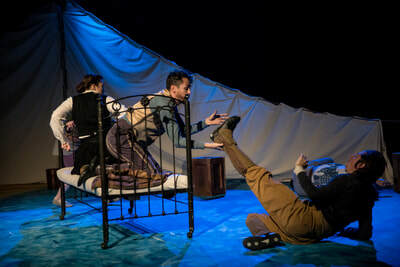 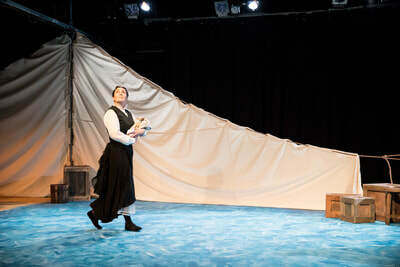 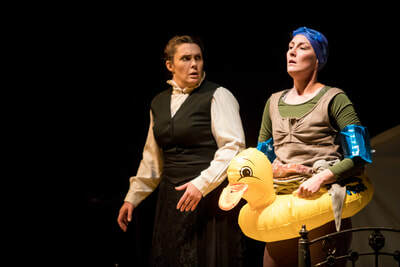 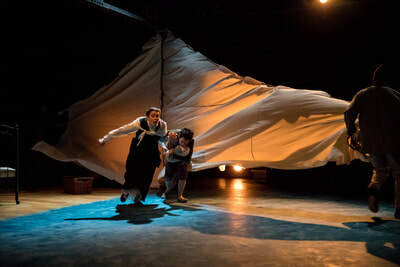 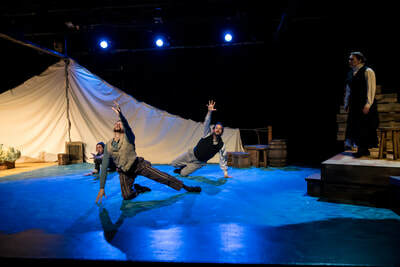 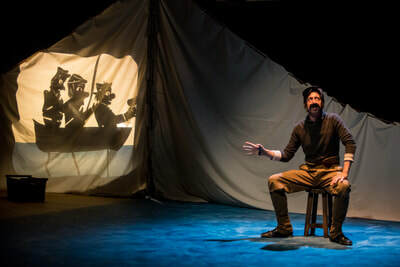 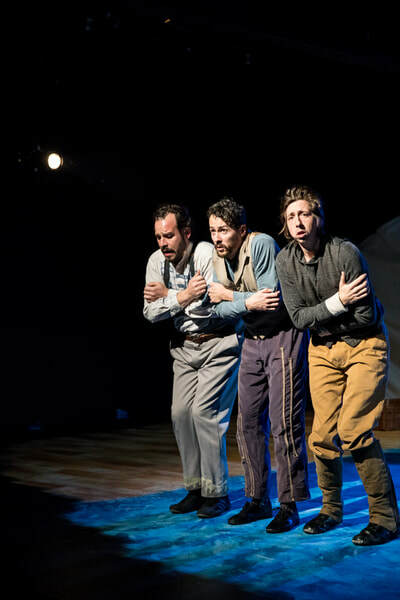 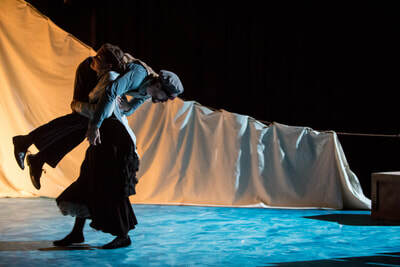 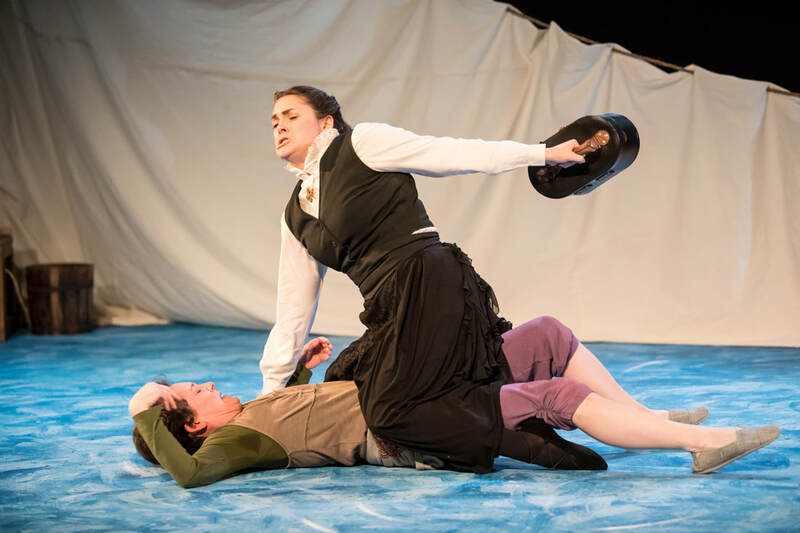 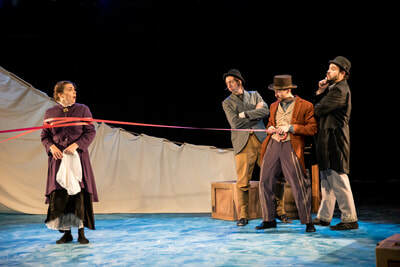 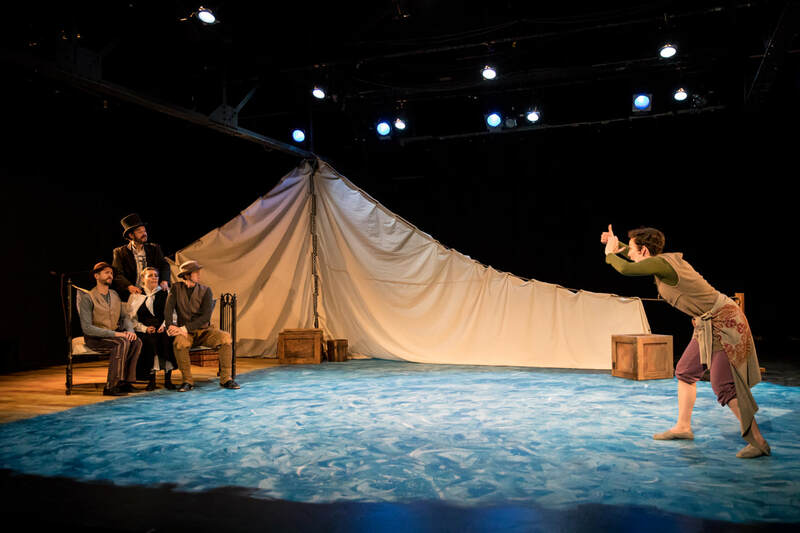 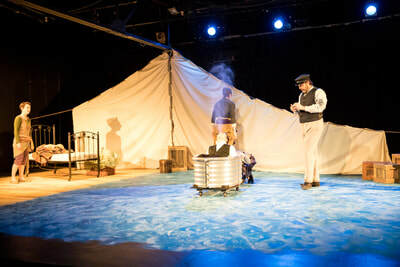 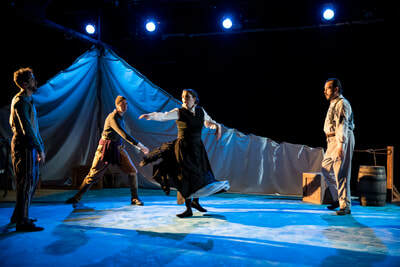 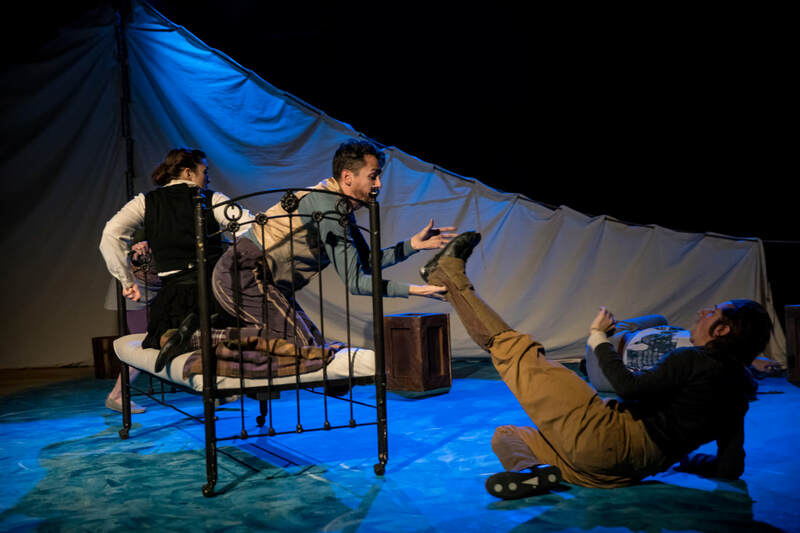 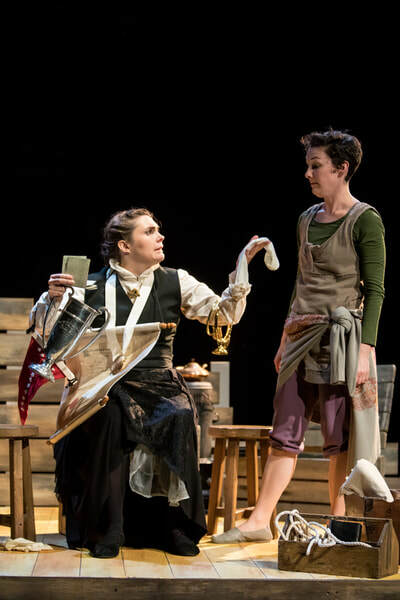 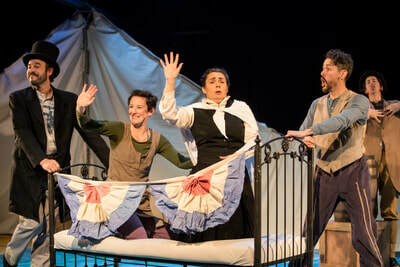 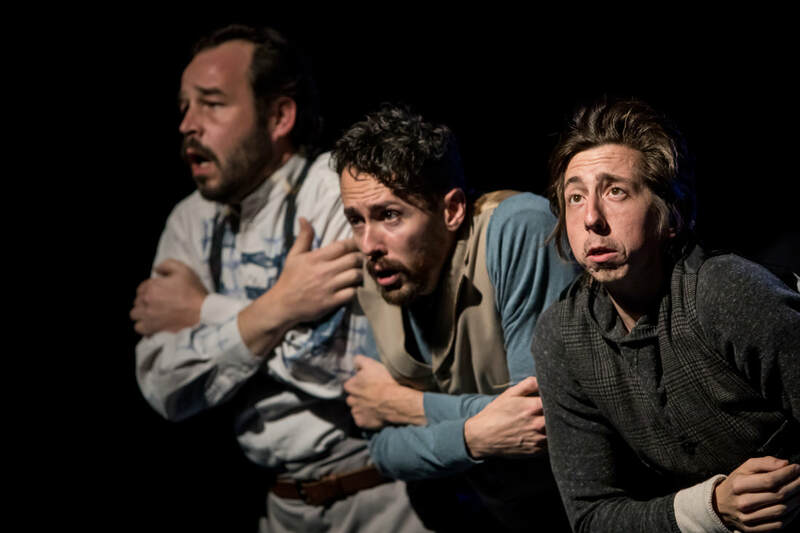 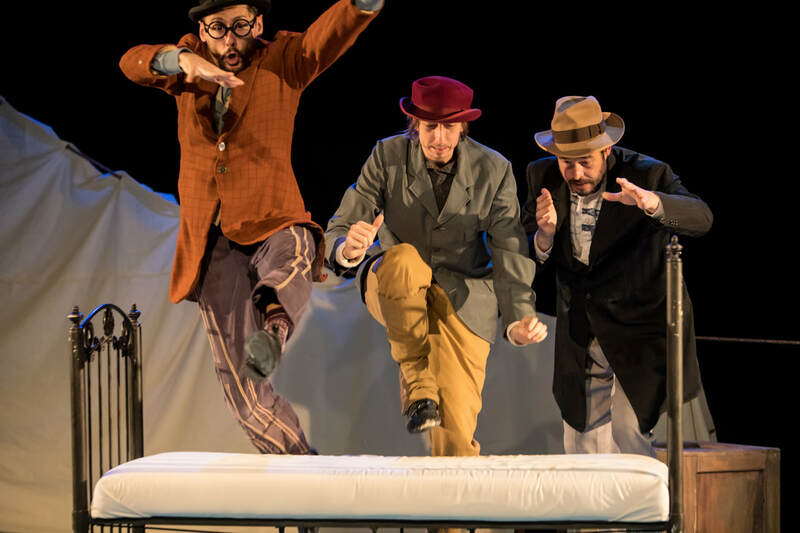 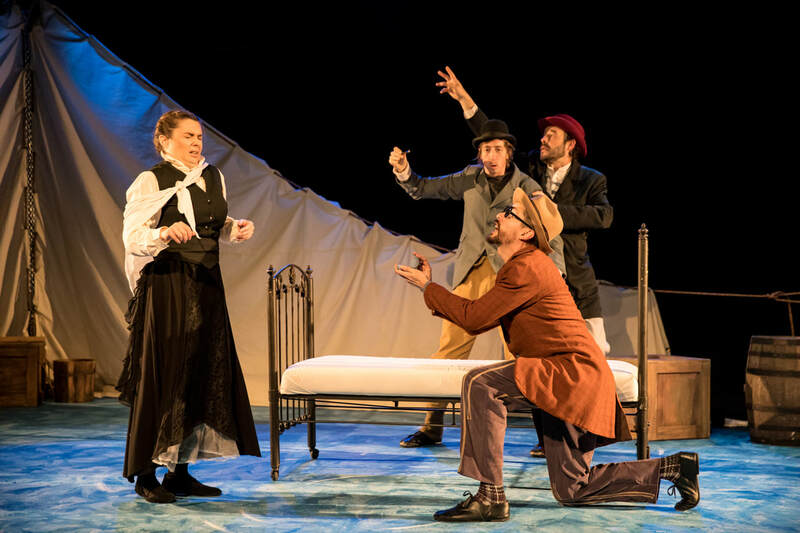 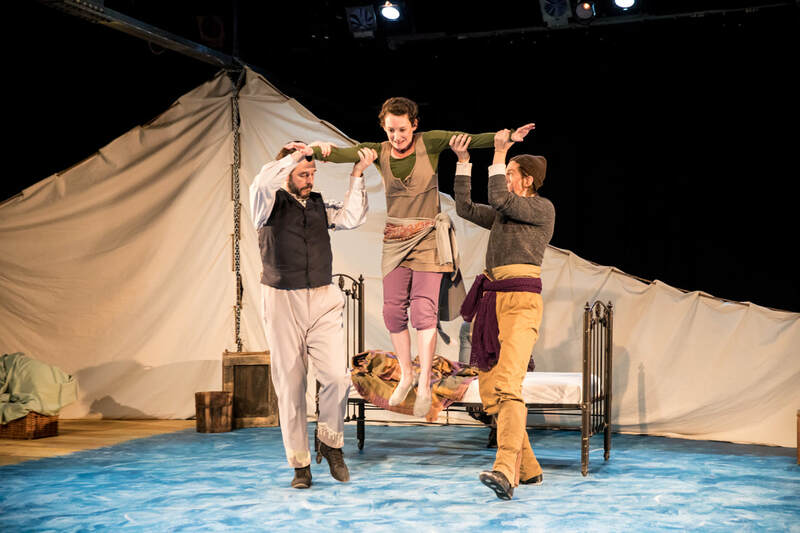 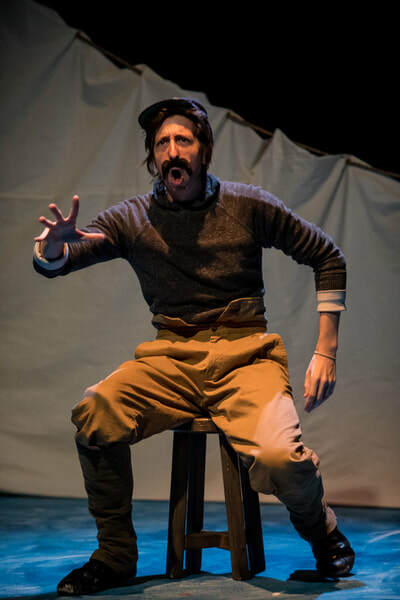 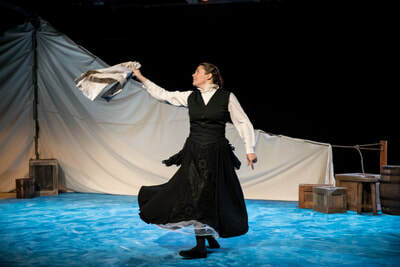 Original, ensemble, physical theatre following an unlikely friendship between a modern woman and the the first woman lighthouse keeper. 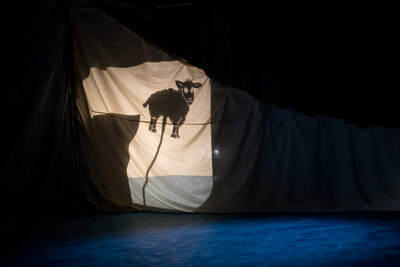 This show explores the themes duty, isolation, obsolescence, and perseverance in motherhood and art, using physicality, vocal scoring, and shadow puppetry. 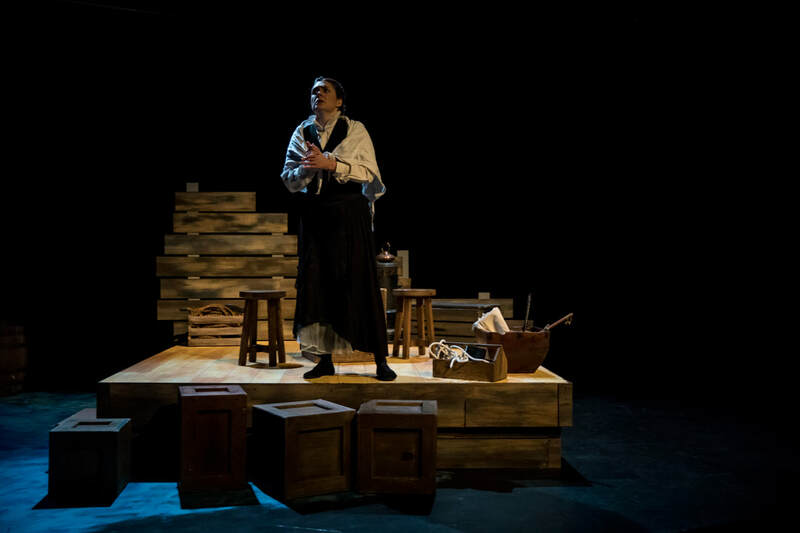 Katie Kaufmann is a fiscal year 2017 recipient of an Artist Initiative grant from the Minnesota State Arts Board, thanks to a legislative appropriation by the Minnesota State Legislature; and by a grant from the National Endowment for the Arts. 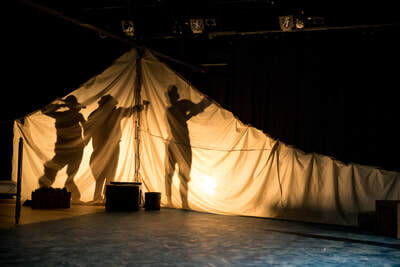 Using broad physicality and wild imagination, this show tells a story of two people at the end of their rope who take jobs as "human directionals" (sign holders). 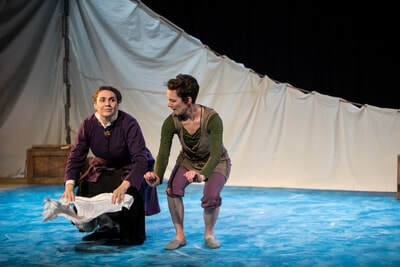 As they struggle with private issues in a very public forum, they are able to find meaning in the monotony and friendship in the shared humiliation. 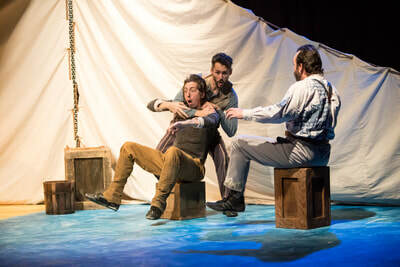 Hear about the show on Minnesota Public Radio! 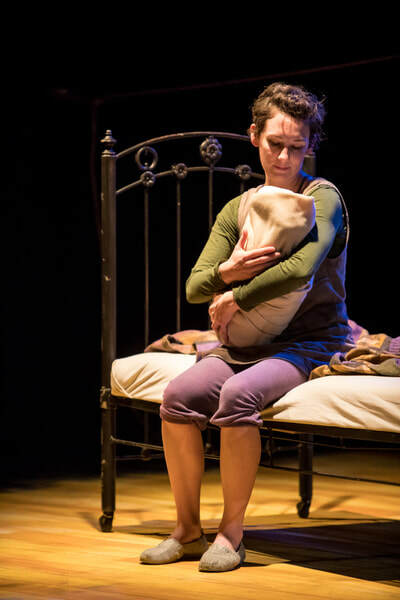 When you've lost everything you have nothing to lose. In this poignant tale of disaster and recovery, Katie Kaufmann explores the fantasy world created by survivors of a tsunami. 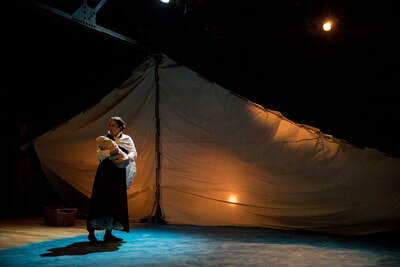 They have no memory of their past lives or the tragic event that brought them together. 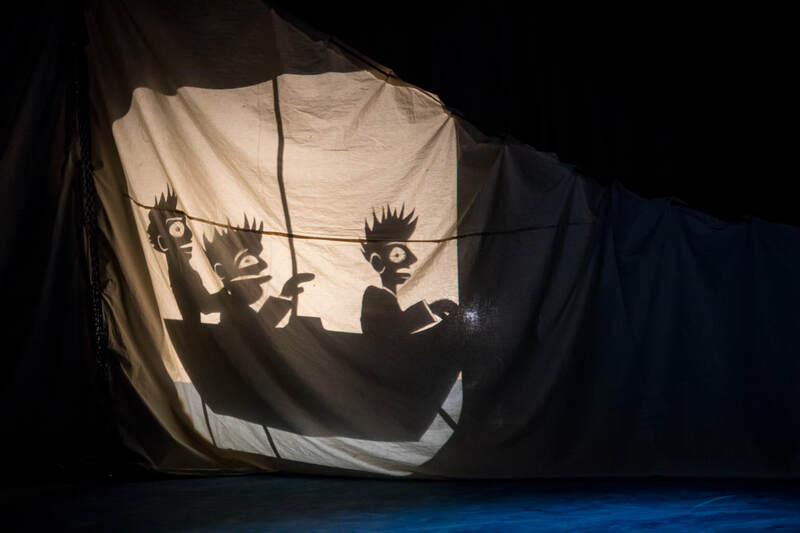 All they know now is each other and the world of spectacular and child like imagination they've created; a world where anything is possible, the broken and desolate wasteland becomes a utopia and life is but a game. But what happens when the memory and the nightmare of their past comes back to haunt them. Collaboratively created with Jason Bohon, Jon Ferguson, Marcus Quinones, Kimberly Richardson, and Sara Richardson; and directed by Katie Kaufmann.